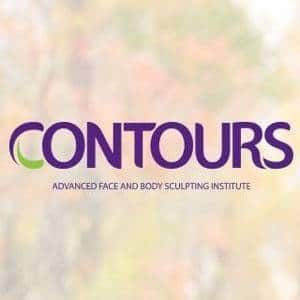 SPECK-tacular Sale! - All Chucked Up! You are Here >> Home >> Rave >> SPECK-tacular Sale! 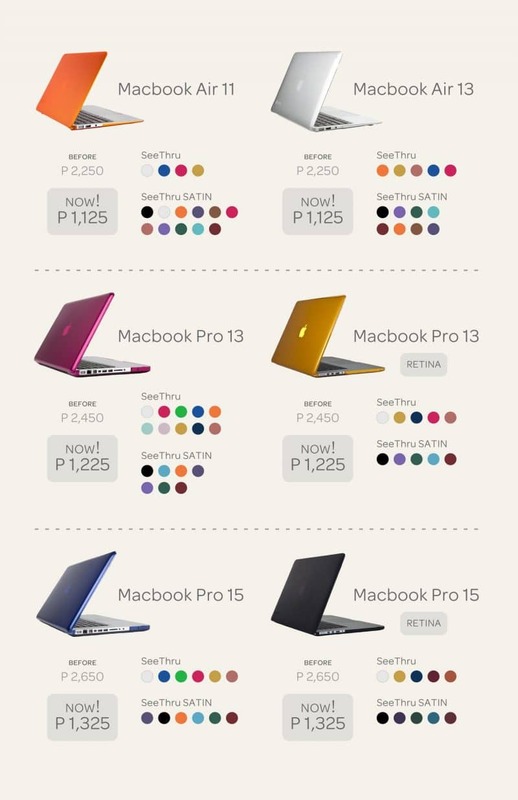 Great news to all MacBook owners who are looking for an absolutely great deal! Speck, one of my favorite brands when it comes protective cases for my iPhone 5, has an absurdly wonderful promo for every MacBook loving individual! Whether you’re on an Air, a Pro, or Pro w/ Retina Display, Speck is slashing 50% OFF the prices of all MacBook cases from May 9 – June 9, 2013! Yes… ALL! Full protection at half the price! Awesome! Check out the wide selection of case colors and discounted prices below. Abenson, A. Shop, Avant, Beyond the Box, Digital Arena, Digital Hub, Digital Walker, Electroworld, E-Central, Futureworld, Gadgets In Style, iBook, iCenter, iGig, iStore, iShop, iStudio, Liteware, Mobile 1, Powerhub, Senco Link, Silicon Valley, Switch, Technoholics,TechSavvy, and The Inbox Store. 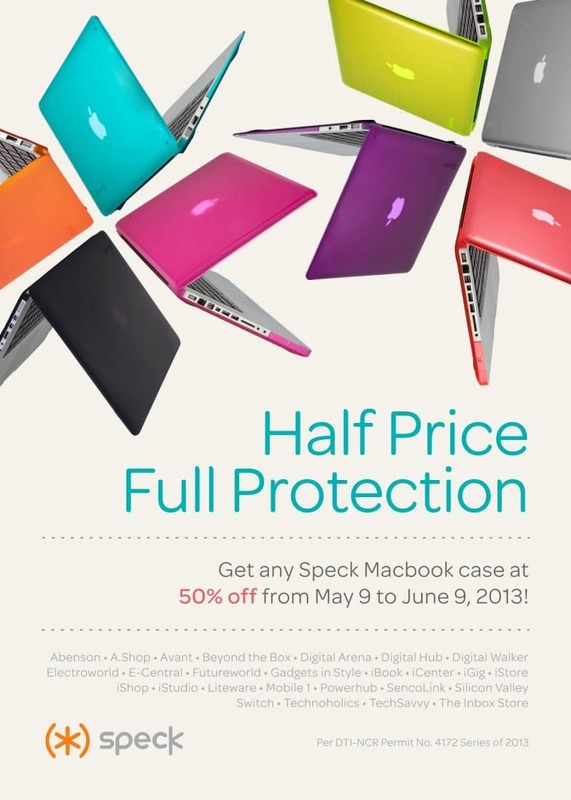 If you love your Mac (and you should), there is no better time to have your gadget protected with Speck’s trusted cases.